There is a wide variety of Oahu Activities that you can select from when planning your Hawaii Trip. Oahu is one island that has it all: a tranquil tropical paradise with the amenities of a big city. Oahu Discount gives you the chance to book Activities in Oahu that will show you the best Oahu Attractions that the island has to offer. If you’re in the mood to relax and simply enjoy the scenery, there are lots of Hawaii Tours that allow you to do just that, including visiting waterfalls, historical sites, and beaches. Oahu Discount can help you to book the best Hawaii Activities for you and your traveling group. Some of the best Honolulu Tours and things to do in Hawaii include Hawaii Fishing, Hawaii Luaus, Hawaii Helicopter Tours, Snorkeling in Hawaii, and more. The most popular Oahu Attractions include Dole Plantation and Pearl Harbor, and there are many Hawaii Tours that give you the chance to experience these places. When you participate in Hawaii Helicopter Tours, you get to enjoy a unique perspective of the island’s natural beauty. Another fun Hawaii activity is the Hawaii Luau. During luaus, you get to enjoy traditional Hawaiian cuisine and live entertainment. 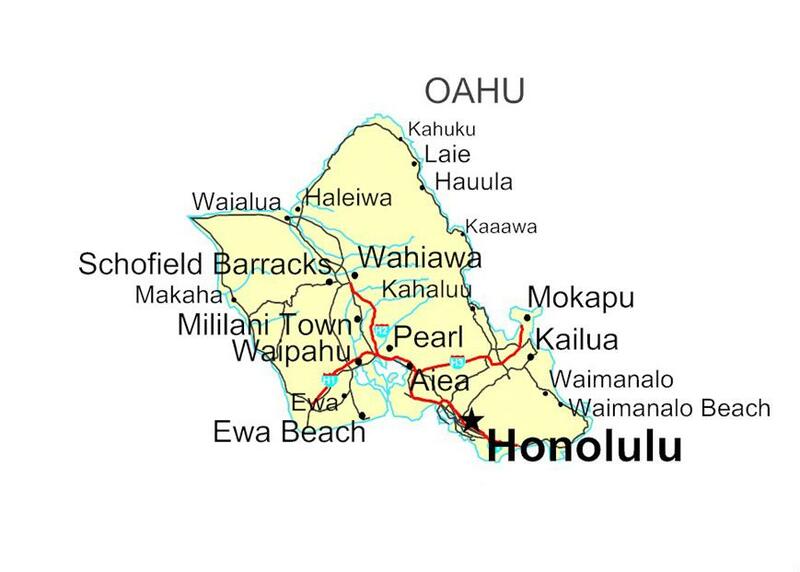 The North Shore is also on Oahu; it’s a world-famous surfing spot where many pro surfers go to catch some waves. These types of Hawaii Attractions ensure that you’ll have fun in Hawaii! If you’re looking for the most romantic way to get hitched, consider having a Hawaii Wedding! Not only will you be married in one of the most romantic places on earth, but you’ll also be able to enjoy Hawaii Island Tours during your time on the island. Your friends and family are sure to love your Hawaiian Wedding. This is one way to have a Hawaii Adventure you’ll never forget! Other exciting Tours of Hawaii include Hawaii Hiking, dinner cruises, horseback riding, Hawaii Fishing, and snorkeling. If you’re craving a true Hawaii Adventure, ask Oahu Discount about the available shark encounter tours! If you are traveling with children, there are many Oahu Tours that are family-friendly. Go 110 feet under water on an exciting submarine tour, or take the whole family boogie boarding at Kailua Bay. Whatever Hawaii Activities you choose, you’re sure to create lasting memories that you’ll love sharing with your friends and family back home. The staff at Oahu Discount is here to help you plan your Hawaii Trip, so call them today!